The education secretary Damian Hinds has clashed with MPs on school funding, after he refused to say how much extra cash he is fighting for. 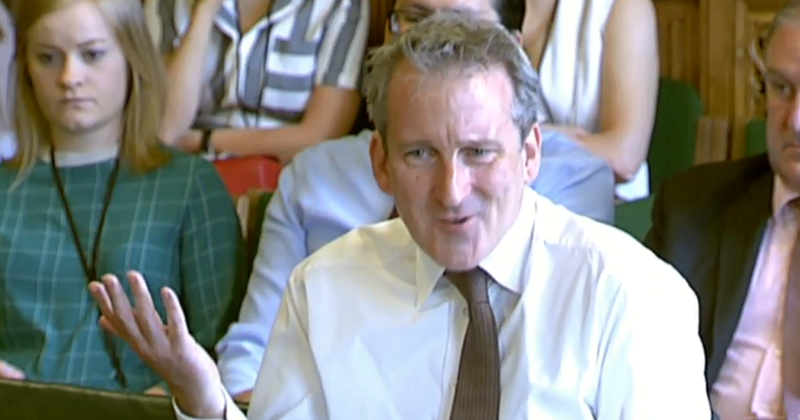 Appearing in front of the parliamentary education committee this morning, Hinds claimed he is “always striving to make sure the funding is there” for education, but would not give details. Pressure is mounting on the secretary of state to provide a further cash boost for schools ahead of next year’s spending review, after a deal to give the NHS an additional £20 billion a year by 2023 was unveiled. Schools also fear they will be put in a difficult situation if the government approves a larger-than-usual pay rise for teachers next year without providing extra money to fund it. Asked how much more money the Department for Education needs to run schools that are “fit for purpose”, Hinds said the spending review had not yet started, and insisted he is waiting for the “analyses” the process will provide. In a move that frustrated committee chair Robert Halfon, Hinds pointed to previously-announced initiatives, including £1.3 billion in extra funding already pumped in by his predecessor Justine Greening last year. Asked about the NHS settlement, which is based on a 10-year funding plan, Hinds did acknowledge that “having longer-term visibility of funding is helpful in any sector”, and said he wanted stability for education.